Posted by Meditek	on September 1, 2014. IT HAS BEEN a long-held philosophy that ensures customer focus is the driving factor in delivering a product solution to meet almost any requirement. In fact, there is a common theme on specific projects: “if it doesn’t already exist, then ESCO will make it”, and so many new products are developed for exactly this reason. ESCO Industries has a direct timeline that stretches back to the company’s registration in 1954, but in fact links directly via the Salmon Brothers family to the early 1920s. It’s a long history of key employees who have all shared the same dedication to customer requirements, which ensures everyone is working towards the same goal. The ESCO Group of Companies today is vastly different to the original ESCO Industries, however, many of the very original products the company developed are still considered to be industry standards, such as the Multi Gang Stainless Steel Switch Panels, Gnome floor outlets, Protected Suspended Sockets, Cable Management Ducting and Die-Cast Outlets. All these products indeed resemble the original company tagline: High Grade Electrical Equipment. Many people are probably not aware what ESCO actually stands for: the Electrical and Switchboard Manufacturing Company, which prior to 1954 was a group of dedicated staff that delivered exactly that. They, however, realised it was no longer efficient for the individual contractor to build custom switchboards and so they decided to deliver a specialised service based on wide practical installation experience and engineering. Today, ESCO still builds custom switchboard to meet the needs of specific customers, as well as thousands of products to meet certain needs in conjunction with a focus on high-end quality, such as the healthcare and hospital fit-out market that has swiftly become a clear focus. The company also focuses on the data, ICT and security needs as well as general contracting and the commercial building market. ESCO’s specialised products and services comprise both standard lines, and custom-built solutions. Concentrating on this task also means there is constant progress thanks to the use of new methods, plus better materials and finishes, which help to make ESCO products the best that can be obtained. From architects and engineers concerned with the design and construction of new buildings as well as the supply chain, who are also keen to deliver the best products available to the industry to contractors working to give their clients a better job while still making a profit themselves, every section of the industry will find items of interest from ESCO. The group has diversified into specific areas of focus and each of these separate companies have gone on to become specialists in specific product areas of expertise. It is a real testament that for more than 60 years ESCO Industries has remained strong. ESCO INDUSTRIES: the original company still focuses on cable management solutions to the commercial building market and has many standard product solutions. Designed to complement modern interiors and make installation as easy as possible, whether it be a new 50-level commercial or apartment building, or a small office fit-out, ESCO Industries can provide a customised solution to meet your needs. MODEMPAK is the group’s data/server rack manufacturer and supplier that delivers high-end market solutions to the ICT, security, data centre, telecommunications and healthcare industries. Internationally recognised for more than 25 years, Modempak has supplied the New Zealand communications market with Chorus (Telecom NZ) approved product solutions and is well perceived as a specialist solution provider to issues like the BT (2 wire) and Energy Cable (Hybrid) Cable roll-out projects, plus many day-to-day requirements like floorboxes, cable trunking, and intelligent power distribution units. MASRAP MEDITEK is exclusively responsible for the ESCO medical and standard plastic range, as well as having a dedicated focus on the clinical side of the medical devices equipment sector. MediTek’s goal is to work closely with electrical contractors, electrical wholesalers, procurement agencies, clinicians, department heads, equipment planners, bio-medical engineers and government departments to find solutions for their medical devices equipment and accessories needs. Whether you’re designing a new intensive care unit, updating equipment pendants or just in need of an x-ray viewer, the Masrap MediTek team offers complete and affordable solutions. ESCO MEDICON, based in Sydney, ESCO Medicon is a local manufacturer of medical equipment, services pendants, gas and electrical panels, gas terminal units, lighting and medical electrical plastics. ESCO Medicon is a project-based division specialising in turn-key systems and the combination of the supply of equipment produced in-house in addition to third party supplied items, to enable a full contract outcome. For many years Medicon products have been included in almost all major hospital installations and refurbishments across Australasia. The future for ESCO Group products will focus on improving the efficiency and reliability of electrical systems within the commercial and healthcare markets. ESCO believes incorporating technology that benefits medical staff, patients and facility management departments plus increased infection control properties and patient safety into each and every product the company designs. 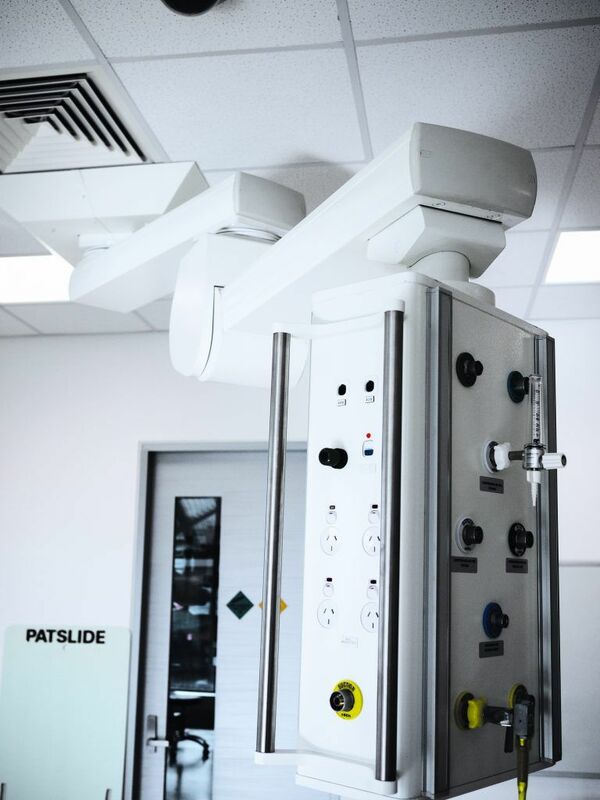 Products are designed for ease of operation by staff and patients through everyday usage and benefit, not only improving safety and comfort, but also greatly increasing energy efficiency or running costs. Delivering a positive return on investment and reducing maintenance costs through product efficiency is ESCO’s focus.